The 250th Fresh Stop was recently opened at the Caltex Croydon service station and Smith Power Equipment (SPE) has provided the backup power for it and the rest of the station. 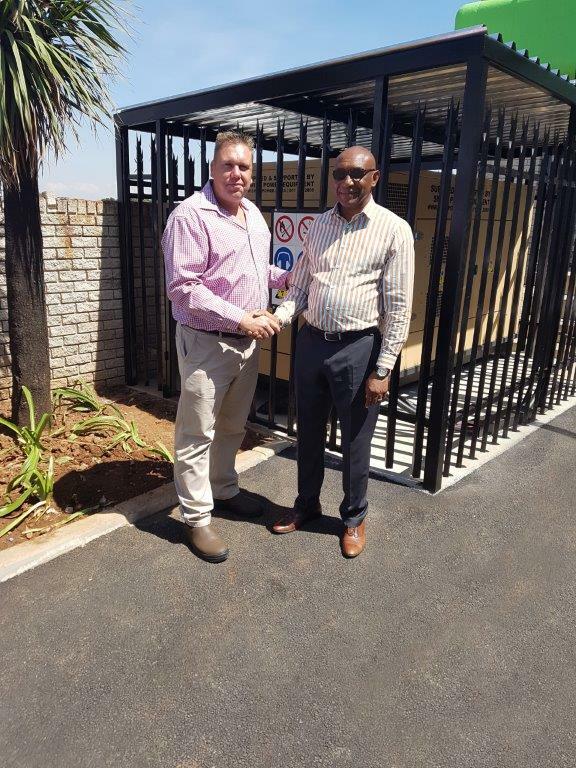 Caltex Croydon retailer Lesley Masia (right) with Smith Power’s Arno Killian and the generator they provided for efficient backup power. 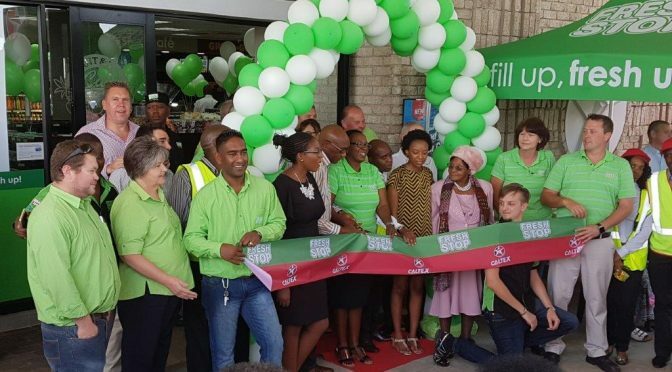 Caltex Croydon retailer and well-known entrepreneur, Lesley Masia, says that he is excited about the effect that Fresh Stop will have on business and also thanked Smith for the effort they made in providing him the 150 kva generator for backup power. The generator, which has a Cummins engine and Stamford alternator was custom-built for Caltex Croydon. 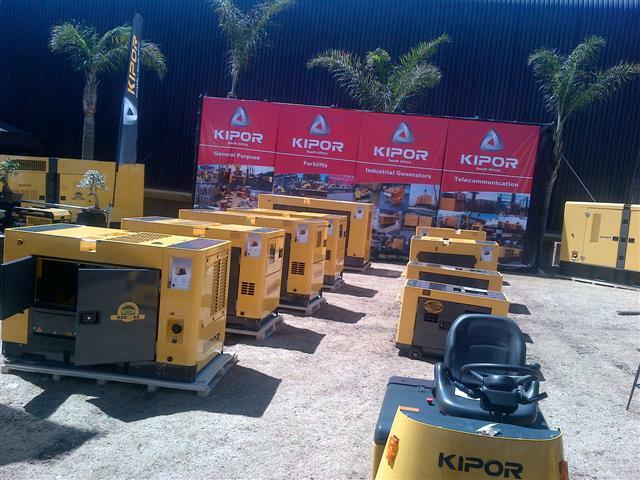 “We have quite a lot of power outages in this area and efficient backup power is essential to the business. In our case Arno Killian from Smith went the extra mile to provide the reliability, service and seamless changeover that we required – in an outage the changeover to backup power is such that customers wouldn’t even know that the main power went off,” Masia says. Killian says that it has been a pleasure working with Mr Masia. “He is an inspirational man and his speech at the Fresh Stop opening left everyone feeling motivated and enthusiastic,” he says. Masia says the Fresh Stop’s unique offering is fresh fruit and vegetables which is a significant convenience for the customers and the community of Croydon. He added that the Croydon Fresh Stop’s overall offering is very broad and includes a Grill to Go where hamburgers and other items are grilled while you wait; a Seattle Coffee outlet; a Crispy Chicken outlet and the Pitstop for a general variety of hot and cold foods to take-away. “The Fresh Stop is a significant improvement of the previous convenience store that was offered at Croydon and I have no doubt that we are now better placed to meet the needs of our very diverse customers base,” he concluded.